Yesterday morning, filmmakers Guillermo del Toro, Ang Lee, actor John Krasinski and Academy president Cheryl Boone Isaacs announced the nominations for the 88th Annual Academy Awards, which will be handed out on Sunday, February 28. An Oscar nomination can be a career-changing moment for any actor, filmmaker or crew member, and whether it's your first nomination (Brie Larson) or your 50th (John Williams... seriously, he has 50 Oscar nominations), it's always a special moment. Entertainment Weekly caught up with several of this year's nominees to get their reactions to the big news. 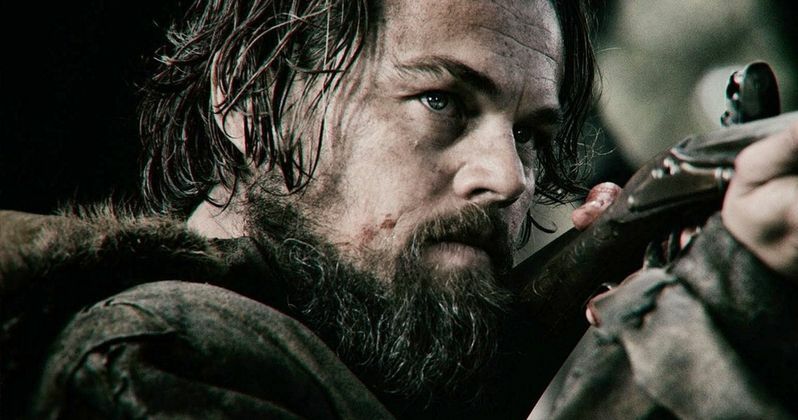 The Revenant led all movies with 12 nominations, including one for Leonardo DiCaprio as Best Actor. This is his fifth acting nomination, but he has never taken home an Oscar in his storied career. Some think this year might be his best chance to take home that little gold man, but we'll have to wait until February 28 to find out. Here's what the actor had to say upon learning he was nominated for his performance in The Revenant. "I am so grateful to the Academy for their recognition of this film. Making The Revenant was one of the most rewarding and collaborative experiences of my life. None of this would have been possible without Alejandro (González Iñárritu)'s talent, vision and determination. Our dedicated crew also deserves to share in this moment. Together, they have created a truly unique cinematic experience. Congratulations to all of my fellow nominees this season. Thank you to the Academy." 25-year-old Jennifer Lawrence also made Oscar history yesterday by becoming the youngest actress to receive four acting nominations. She previously won for Silver Linings Playbook, and was nominated for Winter's Bone and American Hustle. Here's what she had to say about being recognized by the Academy for her performance in Joy. "I am beyond grateful and humbled by this nomination. I feel incredibly honored to be recognized among the other amazing women in this category. Joy is an incredibly inspiring story about an ordinary woman who does extraordinary things. For me, working with David O. Russell has been nothing short of extraordinary, and I share this nomination with him as well as our incredible supporting cast. I could not be more proud to be a part of this film and thankful to the producers and Fox for their unyielding support." With over 500 composing credits to his name, Ennio Morricone is truly a legend, but he has never taken home an Oscar in a career that spans over 50 years. The composer received his sixth Oscar nomination yesterday for his work on The Hateful Eight, which came just days after he won a Golden Globe. This film also marks the first time that director Quentin Tarantino employed a composer for one of his films, as he previously just compiled sound bites from other movies for use in his films. Here's what the composer had to say about his nomination, revealing he originally turned down Quentin Tarantino's offer. "When Quentin first asked me to write the score for his new western, I said no. But Mr. Tarantino is an astute man, and he left the screenplay for my wife Maria to read. He had spotted who is the boss in our house. Maria realized instantly what a brilliant screenplay Quentin had written for The Hateful Eight, and she told me in no uncertain terms that I had to do it. I am so happy that I did. To work with such a brilliant young director at my age gives me great pleasure. He was just one year old when I wrote my first score for Sergio Leone for A Fistful of Dollars. It is also a deep honor and very humbling to receive this prestigious award nomination for doing the profession I love. I receive it on behalf of myself, Quentin Tarantino, The Weinstein Company, and the whole cast and crew of this remarkable film. And of course I receive it on behalf of my clever wife Maria." The Hateful Eight received three nominations in total, with one for Robert Richardson's cinematography and another for Jennifer Jason Leigh for Best Supporting Actress as Daisy Domergue. This is the actress' first nomination in a storied career, and she expressed her adoration for director Quentin Tarantino. Here's what she had to say below. "This is incredible news to wake up to. I am thrilled. I didn't think the experience of working with Quentin and this cast could get any more rewarding... to get this recognition for this role is such a joy." Sylvester Stallone also made Oscar history for his Best Supporting Actor nomination as Rocky Balboa in Creed. He became only the sixth actor in history to be nominated twice for playing the same character, following his nomination for the original Rocky. The actor's nomination comes just days after his Golden Globe win for Creed, and he is considered one of the front runners for the Best Supporting Actor category. Here's what he had to say following the nomination. "I am incredibly humbled by this honor. I was not expecting it ... especially at this time in my life. I am certainly grateful to the artists and collaborators who helped make it possible." Another first-time nominee is Adam McKay, who made the transition from comedies to drama with the heralded film The Big Short. He is also nominated for Best Adapted Screenplay, which he co-wrote with Charles Randolph. Here's what the director had to say about his nominations. "So happy for everyone who worked on this movie. This was truly an ensemble project from cast to crew to producers. Thank you to the members of the Academy and to all the audiences that have supported The Big Short. Now I'm going to take a nap." A few other nominees like Brie Larson (Best Actress, Room), Emma Donoghue (Best Adapted Screenplay, Room), Sam Smith, (Best Original Song, Spectre) and The Weeknd ((Best Original Song, Fifty Shades of Grey), took to Twitter and Instagram to react to their nominations. Take a look at their reactions below, and stay tuned for more on the Oscars as we get closer to the big day on Sunday, February 28. Do you think these nominees are deserving of recognition from the Academy?